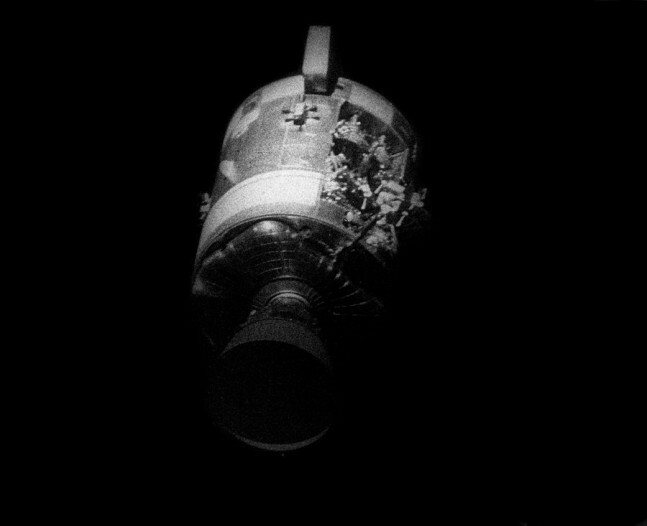 Experience the breathtaking story of Apollo 13 as you’ve never before – join Jim Lovell, Fred Haise, and their fellow astronauts as the Astronaut Scholarship Foundation honors and celebrates the 45th anniversary of one of the U.S. space program’s most famous missions. The evening, to be held April 11, 2015 at Kennedy Space Center, FL, will be one you won’t forget. Ticketholders will be treated to an intimate dining experience at the Kennedy Space Center Visitor Complex’s award-winning Apollo/Saturn V Center (ASVC). The night will begin with a champagne reception, followed by a professional photo opportunity in the ASVC’s Firing Room Theater. The festivities will culminate with a candid panel discussion featuring the stars of the evening: Lovell, Haise, and several of their peers with share their stories and reflect on the mission that brought global attention to the bravery and determination of our nation’s astronauts. Tickets, available for $1,000 each, are limited to 100 and sold on a first-come, first-served basis. Proceeds benefit the Astronaut Scholarship Foundation, a 501(c)(3) nonprofit organization established by the six surviving members of America’s original Mercury program. Its mission is to aid the United States in retaining its world leadership in science and technology by providing scholarships for college students who exhibit motivation, imagination and exceptional performance in these fields. Through the garnered support of astronauts, industry leaders, educational institutions and patrons, ASF awards merit-based scholarships to the best and brightest undergraduate students who excel in science, technology, engineering and mathematics (STEM).